Arselx: I pick SkyHigh as the winner. Simple and clean piece, it was great. Ara was the only person close to it, I really like the work overall, except for the fonts, and also the light on the eyes must have more oppacity. Good effort by Kego, the render is ok but the background is blurred. Hoot can do a million times better in my opinion. I was impressed by Silky Slimer, a nice piece to be honest but not enough to win it. Andrea: Some really nice entries this week but I have to go with Skyhigh. Arselx: My winner is Silky Slimer. Love the concept, althrough it might need more effects. Kanzler, good job but I think you gave more attention to the flag than the renders, they should be bigger and the hue/saturation is too much. I like the font though. 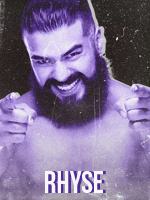 Kego, a nice piece I think, but Rusev is too dark. If you used the right effects and a bit better quality it might have been the winner. You're improving, keep up the work. Hoot, I like the render placement and the background, but the lights and outer glows and stuff were not needed at all. It just doesn't fit with that kind of background. I've seen better from you. Andrea: Gotta go with SilkySlimer on this one. On creativity alone this is a great piece of work. 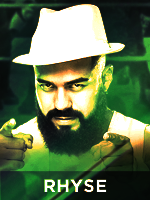 It might be a little plain but I love it, its what Rusev day is all about! 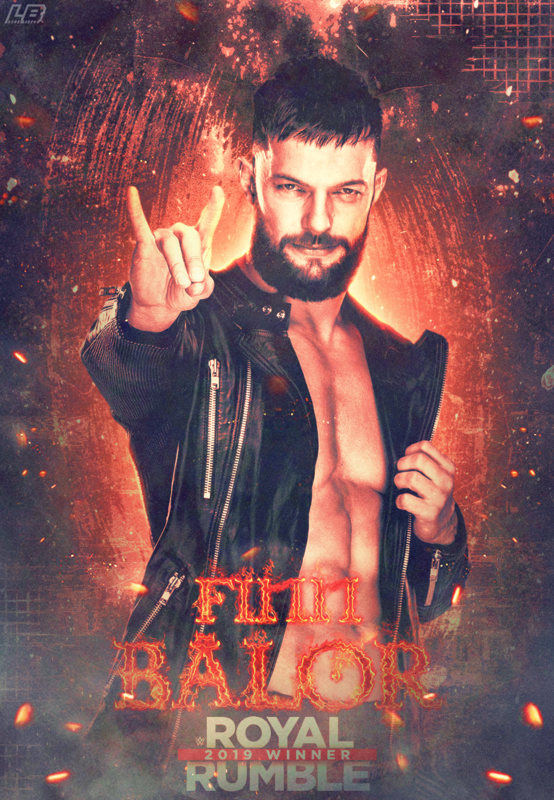 Kanzler not a bad entry its very trippy not a fan of the renders looking like they got cut off and the font is pretty plain but not bad. Hoot nice try! it looks pretty decent and clean but the renders may have taken too much space and not a lot going on here. Kego I see you improving aswell. But the quality is still lacking. I'm not a fan of the texture/pattern you used on this, it looks like it really hurt the piece. I do really like the layout though I can see what you were going for. If it was better execution I could have seen it winning. Arselx: My winner here is TyNick. Clean piece, good work on the background as well. The lighting mustn't be that dark (left side) and also I would've prefered that red gradient on the bottom to be black. It fits better and goes with the color scheme. I like the blurry font. GP I liked what you tried to do there, but somehow the quality is not good. I don't know what the problem is, but if the quality was better just like TyNick and maybe using some fonts your piece could be better. Hope you fix it in the future. Andrea: TyNick. Not much to say but it is the much better quality entry. Nice and clean and I like the 'My Yard' text in the background. Not bad at all. GP I actually really like this piece. Nice creativity but once again the quality has taken away from it a lot. The logo is very pixelated same with the background. Not sure whats going on there. The render looks pretty good but over edited. But I see this piece as an improvement keep working. Arselx: Not sure which the winner is here to be honest. Both works have their ups and downs. 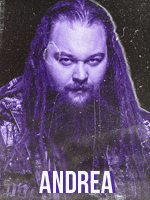 I pick Derp as the winner because the concept fits more the bludgeon brothers characters. Dark, the forest, it just goes well with them. I don't like the font, also the renders need to be bigger and more in the center. I didn't get what that thing on the ground was but yeah, you win this one. Maciek, honestly I expected better. 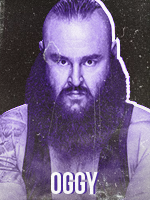 The color scheme doesn't fit at all, it looks more like a Rusev work. I like that light circle on them, the font is not bad too. However the background and the color scheme costed it to you. Andrea: Derp Rollins wins this one for me. I like the background and think it fits perfectly with the renders. The text might be a little unfitting but overall a nice piece. MaciekHeel not a big fan of this piece. 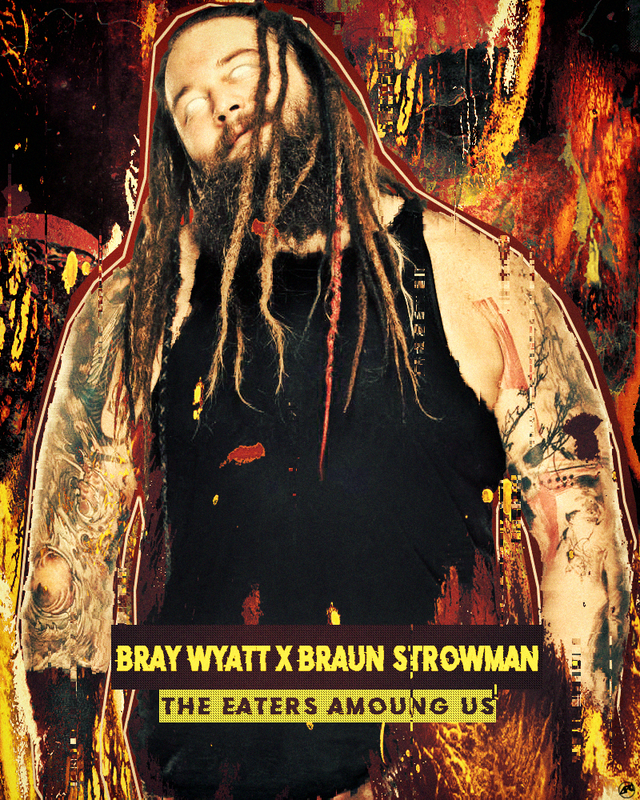 The colors are a little odd and I'm not a fan of the circles around the bludgeon brothers. The text is also a bit unfitting. Arselx: Lucas is the obvious winner by DQ, but I feel this needs feedback. A great and simple piece. Clean edit, the colorway and smoke, the particles, they all go well with eachother. The font also looks good on it. 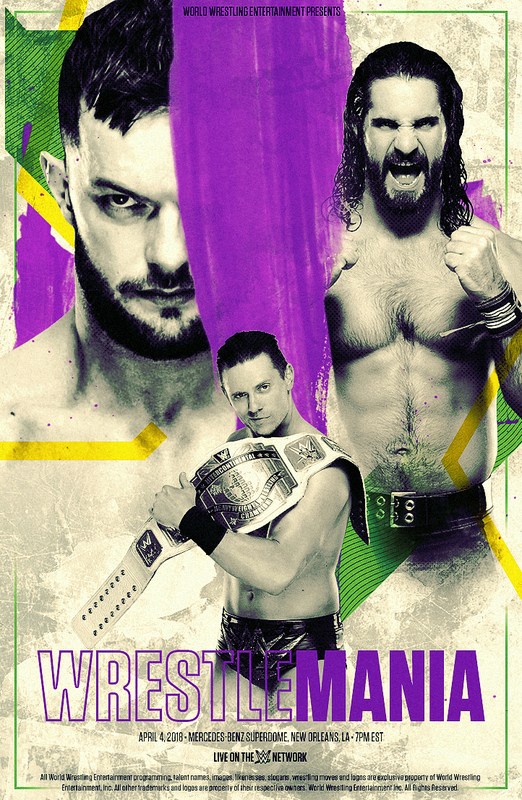 I think the WM logo would look better on the center but yeah. Andrea: Lucas wins by default. But very nice piece by Luc of course. I know the topic was a little odd but I wanted to see what you could do and you exceeded my expectations of course! Awesome work. Arselx: Havoc wins by DQ. The quality of the renders might be better if you sharpened them, but I don't blame you. The particles and stuff are goodm the smoke and colors too. The fonts would look better with less opacity or maybe using soft light on them. Also addapting the logo with the colorway would look much better, or maybe making the colorway purple to fit the logo I don't know. Andrea: Havoc wins by default. Awesome entry though I love the effects and the color scheme awesome job. 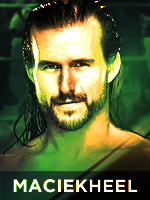 Norbi: Lucas Black,Ara or SkyHighRollins won. Arselx: Not going to judge this one, might the best win! A little rusty and it came out a little bit fuzzy but here we are. gl havoc! Subject: Who do you think will win the Womens Battle Royale @ WM? Subject: What if the Undertaker doesn't show up @ WM? Andrea: Gotta go with Derp on this one. I really like the fire with the purple text in the background it just fits really well. Really not much to criticize good work! MaciekHeel very nice work it looks pretty professional and I like the text effects but it looks unfitting for your piece but overall nice job. Havoc I really like this piece its super clean and simple but maybe a little too simple. I think it needed some text it just looks like its missing but good piece anyway. GP once again I see what you were going for but poor execution. The quality is very pixelated and hard to make out whats going on in this picture. Watch some YT tuts and keep practicing! 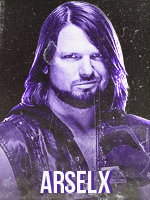 Norbi:Both entrys are good but for me HLR's entry looks more like a New Day poster because is more colorful and other stuff. Andrea: HLR won this one. It just looks like New Day. Bright colors and chaos. Really well done. My only complaint is it looks like 2 separate pieces good pieces none the less but they kind of look like they don’t mix well but it still works I like it. Arselx nice simple picture just couldn’t beat HLR this week. Not much going on but I like the text I think everything fits well together. Andrea: Lucas runs away with this one. Very unique piece I love it! Everything is blended perfectly the text shining onto their heads is lovely detail while small just looks great. simple yet super effective great work! KK I know you said there was no way to beat Lucas but I wish you at least tried. This piece is really hard to read or really see whats going. I know you’re way better than this. Norbi: Both entrys look a bit strange.I like the presentation used by WorkoutF but I don't really like the background with those flying objects on it.Ara's work is more like a presentation of Asuka than a presentation of the whole match.WorkoutF won this match. 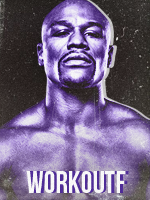 Andrea: Workoutf takes this one. I like how it kind of looks like an action movie poster. The effects/colors on the girls looks perfect and fitting. Really nice piece. Are not a bad piece at all. I like the effect on asuka and the texture looks good as well but I wanted a picture with Asuka and Charlotte. But this looks good. Not a fan on the font though. Looks kinda hard to read. Nice piece though. Andrea: Rhyse wins by default. 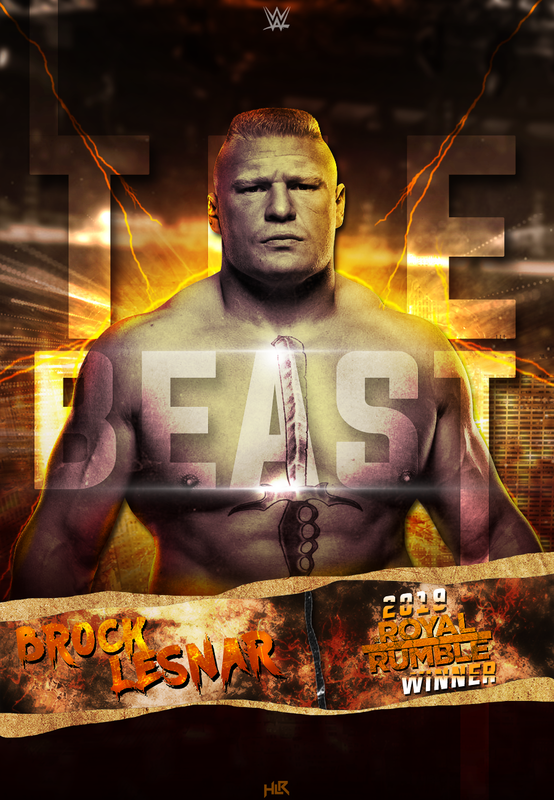 The layout is fantastic, the colors for wrestle mania look great this piece is just awesome. No complaints. As usual Rhyse, great job. Norbi: Arselx work looks really good.Simple effects simple concept and an overall good piece.He wins this one. Kego can do better.I think he has more potential than this.The concept is good but more things are needed in this work. Kohop: Arselx takes this one for me, his piece is simple and clean, no complaints here. Kego - Have to agree with Norbi, you could do better, its very grainy. Andrea: Good starting match, Arselx wins he just had an overall better entry good quality and nice effects. Super simple but nice. Kego I see what you were going for but the execution wasn't that great the quality is very choppy and not a fan of the fonts but it shows potential. 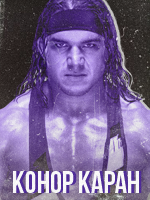 Kohop: Don't really have any comments on this match, it was a good match up, and for their first piece together Maciek and HLR had a decent effort. I must say its weird seeing that blonde streak - Im a stickler for wanting to see the most current renders used (unless stated otherwise) as I feel it just outdates the piece before it even begins. I can see what you have tried to do with the logo infront of the render, but it doesn't work for me unfortunately, good effort though. 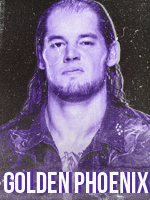 Norbi: GoldenPhoenix and KohopKapah's work is better than expected.Really good execution,effects and font on point.It can be better but still this work wins. 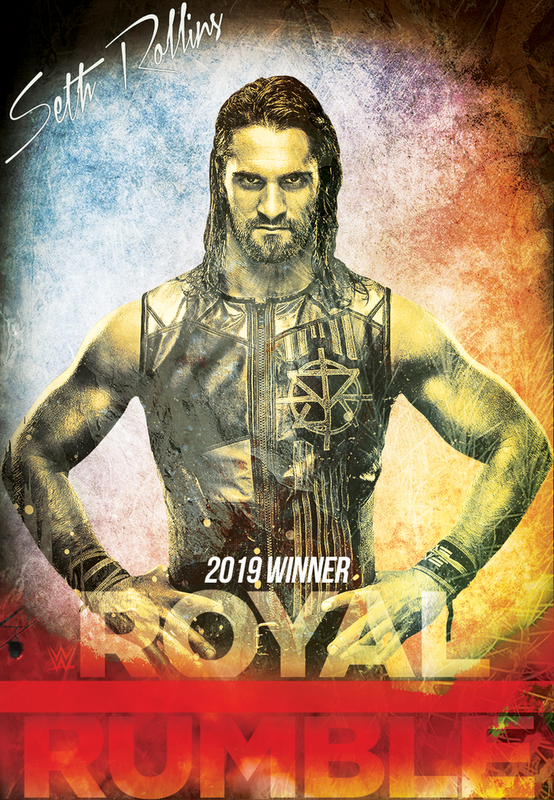 MaciekHeel & HLR's work is an interesting piece.I think there are too much things going on there.There is the logo of Seth Rollins in the back and then one in the front.It makes all the work look a bit messy.Im sure they can make a better piece. Andrea: Very nice match. This one is actually very difficult. I think I have to go with KK and GP on this one. 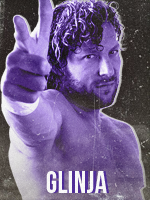 I think it mixes well, I don't like the font in the background where I can't read it when it was part of the stipulation but I still prefer this one. MaciekHeel & HLR very nice entry but the font kills it for me. It just did not blend well and I do not like the bevel & emboss effect. Awesome piece but that font was the decision maker. Kohop: This was a very tough one to judge, IMO Rhyse takes it, the piece conceptually is just fantastic, and the way the renders and images blend together is perfect. 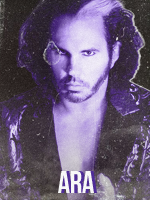 The font is a bit too clean for the 'broken universe' IMO, but it still works really well. Ara don't be discouraged, great piece, I love the top half, the effects with the hardy render, and the glass brake is a good idea, it does work, but the font lets you down here, - very close match though! Andrea: Oh man what a match! 2 amazing pieces. This one was really hard as well. 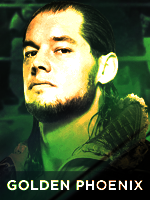 I had to go with Ara I think his was overall more fitting for this match and the stipulation. I thought it was extremely creative in comparison with Rhyses' so I gotta go with Ara but that font at the bottom does not look good at all. Rhyse your piece is gorgeous as well. So clean and it looks like a real movie poster. I literally can't think of any complaints other than its not very creepy lol but still this piece is very nice. Norbi: I really wanted Ara to win but Rhyse's work looks more professional and I have to say that Rhyse wins this one. DerpRollins and Havoc are starting the rumble.Havoc is coming in with a lot of confidence going right after DerpRollins.He is trying to eliminate him but DerpRollins is showing his best and is staying in.Lucas Black is coming next.He seems like he has a lot of confidence and goes right after Havoc.Havoc and DerpRollins are teaming up and trying to eliminate Lucas Black but he is not going to leave and stays in the ring.The next person who comes in is GoldenPhoenix.All these competitors are fighting and trying to eliminate each other but they stay in.The next entrant is SkyHighRollins.After him comes Danielebetter who is quickly eliminated .He was one of the favourites to win this match and all the superstars from the ring teamed up to eliminate him.SkyHighRollins eliminates DerpRollins and Lucas Black eliminates GoldenPhoenix.Havoc ,SkyHighRollins and Lucas Black are in the ring waiting for the next entrant who is Grom.All the three superstars from the ring are teaming up and eliminating Grom.The next competitor is Andrea.NikkiandBrie comes next who is eliminated by SkyHighRollins.The 10th entrant is HLR who is dropping all of his opponents with Shotgun Dropkicks. He is trying to eliminate Lucas Black but here comes the 11th entrant ,Lucas Black's teammate WorkoutF who is coming to help his him.Lucas Black and WorkoutF eliminates HLR.They are teaming up against Andrea,SkyHighRollins and Havoc.The next entrant is MTFury who is quickly eliminated by Lucas Black and WorkoutF.The next entrant is Arselx who comes in and goes right after Havoc and eliminates him.Greenwood comes in but he is eliminated by Andreea.The next entrant is MaciekHeel who is also eliminated by Arselx and SkyHighRollins.Here comes Norbi he is teaming up with SkyHighRollins and trying to eliminate LucasBlack and WorkoutF.The next entrant is Oggy who is eliminated by both Norbi and SkyHighRollins.WorkoutF eliminates Andrea and after that SkyHighRollins eliminates Lucas Black.Norbi,SkyHighRollins,WorkoutF and Arselx are waiting for the next entrant who is Glinja.Glinja is eliminated by all of the competitors wfrom the ring.The next entrant is KohopKapah who is trying to go after Arselx he someone eliminates Arselx but both of them are eliminated by Norbi,SkyHighRollins and WorkoutF.Here comes Ara the 20th entrant.Ara,Norbi SkyHighRollins and WorkoutF are face to face and trying to eliminate each other.SkyHighRollins and WorkoutF are teaming up and eliminating both Norbi and Ara. SkyHighRollins and WorkoutF are fighting for a long time. 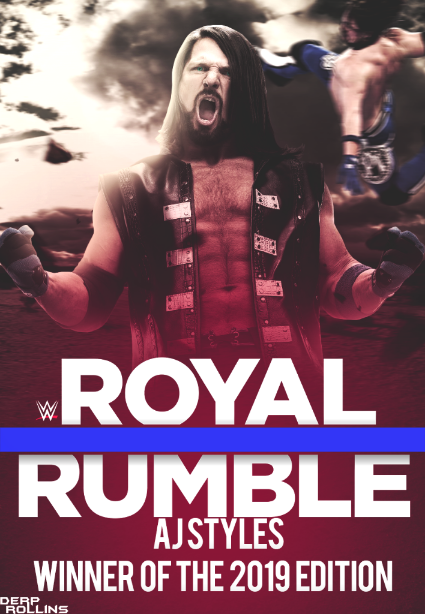 Workoutf eliminate SkyhighRollins to win the Royal Rumble match. RULES: For example #1 and #2 will start, then we will judge whos piece was better then the winner (for example we'll say #2 is better) will face #3 and the one that lost (#1) will be eliminated. 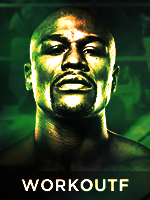 Judging will take place after the PPV. You do not post in order of your numbers just post whenever you want. The number order is how we will judge them. You can either post here or pm me. Any questions PM me. Good luck! Andrea: Disappointed with the lack of participation in this weeks Open Battle Royale but we got 2 nice entries. My vote goes for MaciekHeel. It's so simple but it really does it for me. Clean and to the point. MTFury I like this entry I think you would have a way better chance of winning if your main render wasn't low quality and look like its been over edited but I like the lay out a lot. Good job guys. Kohop: MaciekHeel: amazing work, although not a traditional size, the piece is great and works well, the font suits, the colours are good, simple yet effective. Andrea: Once again... My vote goes to MaciekHeel. It's just too clean and appealing to the eye. Not much to say it just looks like a real poster. Kego very good job on your piece I think I see what you were going for but the execution could have been better. I think the text looks a little jumbled and the crowd at the bottom was really poorly cut out. But I love the image of Elias at the top I think that was a good choice. Ero1numero I dig the layout but not a fan of the size or the text. I think the font could have worked better without the effects. Kohop: again gotta give the win to Maciek here, again, simple, yet really really effective. the graphics are a good addition, the composition is good, just a really good piece. era - good composition, main font works well, the date font doesn’t fit, probably would have been better without it. piece looks grainy and poor quality however, unlucky. Andrea: My vote goes to Derp. 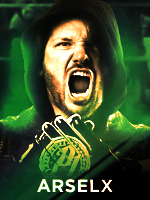 I think Derps looks more like an actual WWE Magazine. The effects and lighting blend well together and the extras on the cover really make it look real. I would have went with a different WWE logo but thats all I really have to complain about. Golden Phoenix I know you could do better. This looks like it was thrown together extremely quick. The text is really jumbled and all over the place. Next match I want you to take your time and try better with the text. GP - image is way too big, font choice does’t work for me, neither does the layout, the wonky fonts just don’t work for a magazine unfortunately. Andrea: Ara wins by default. But a very nice entry this week. I love the grunge I think it works really well with the red. Everything is blended well. My only complaints are I don't like the red in their eyes I think if you blended it better instead of making it super solid red it would have worked better. Really nice anyway. Norbi: Ara won. Really good piece of work. Andrea: This was a tough one. Both put in really good clean entries but I have to go with Havoc. Maybe I just prefer the style but I just love this one. The fonts work well here and the red gradient effect is sick. Arselx did a great job as well this poster looks super clean and realistic. The plain text works well with this piece and its just overall very nice. I cannot come up with criticism for either piece honestly. Great job both of you! 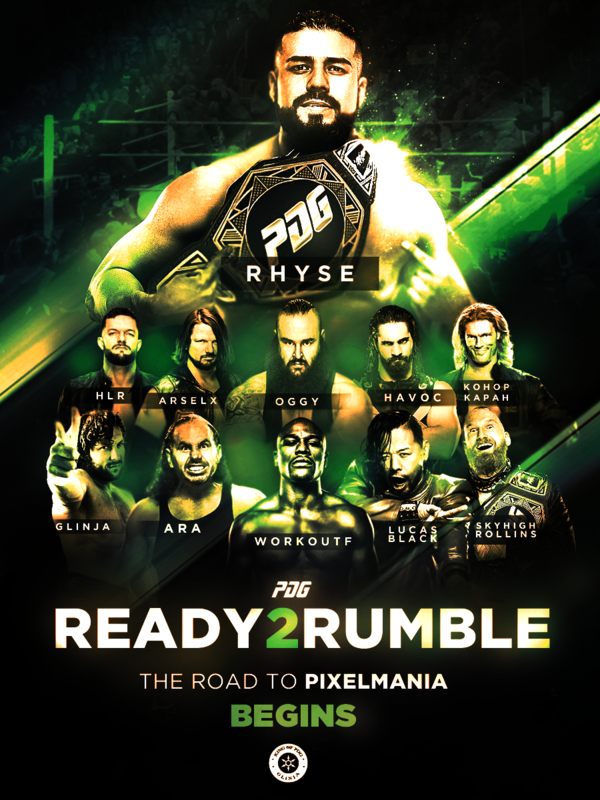 Norbi: I think Arselx's work is much more clear.It looks more official.Looks kinda like a promoting thing with all the spotlight and that stuff on the back.I think his work winst this match. Havoc's concept looks good,showcasing some Miztourage moments on the background.I think that this stipulation just needed a bit of shine because it's about The Miz whose character is based on the spotlight and that type of things right now. Overall I see a lot of potential in both works but this time Arselx won. Kohop: Have to agree with both Norbi and Andrea. Both pieces are great in their own right. 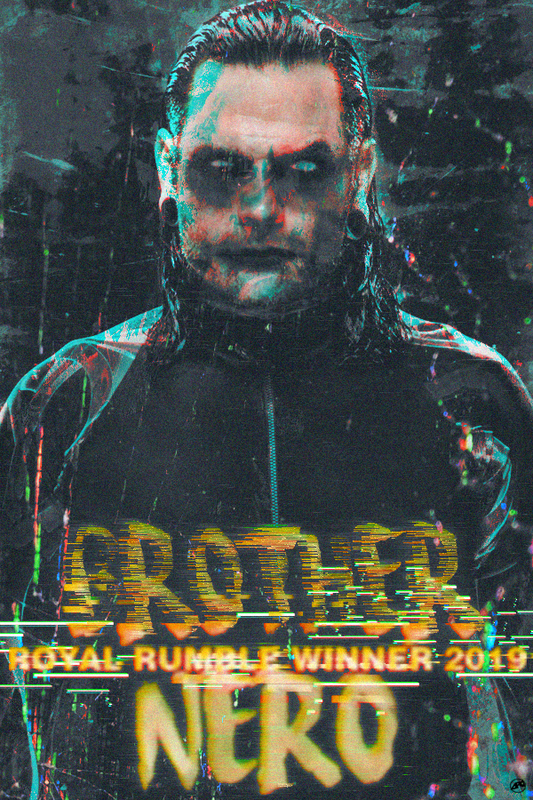 Each piece is pretty much faultless and although I overall prefer Havoc’s style, I think Arselx’s matches the Miz and his Miztourage characters better - so for me, he gets my vote. Limited feedback as I literally can’t add anything else to what the others have said as I agree with them fully. 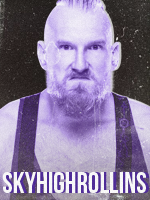 Andrea: Gotta go with Skyhigh on this one. Absolutely love the effect on Rousey and putting her face inside the render is really brilliant. It looks very simple and professional. Kohop I see what you were going for with like a watercolor effect and it was very creative but the execution could have been a bit better. The effects kind of made the photo/render look low quality. But the creativity is very nice. 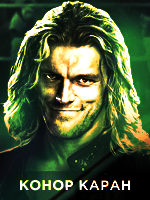 Norbi: I think SkyHighRollins won this time. Kohop: SkyHigh - great work, pulled off an amazing piece, loads better that mine, great work as per. Andrea: The match of the week for me. Both entries were fantastic but I have to go with Lucas Black its just next level. The effects are amazing looking and it works perfectly for the stip. Making the ground look like its breaking just looks fantastic. Best Of the Week IMO. HLR another awesome entry man I thought you were gonna take this one before I saw Lucas'. It's really simple but making it look like a video game is super creative and was executed perfectly. Really can't complain about either entry fantastic match. Norbi: Lucas Black's work looks professional and clear.The effect of the flying ground looks really good and makes the work even better.The only thing maybe needed is a text or something but overall the looks really good.Lucas Black wins this match. 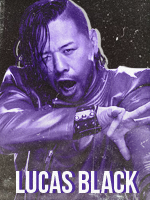 HLR's work looks kinda original.It's nice to see him trying different things.The work looks like a special screen for a finisher in a game which is a really good idea.This original idea could have won it for him but this match was won by Lucas Black. Kohop: lucas black takes this one for me, interesting how you both used the same image! I do like HLR’s video game layout, I just prefer LB’s simple and effective, less is more, good match up though! Andrea: Another great match but I have to go for Glinja. The colors, lighting and layout are just overall better and very appealing. The layout of them coming out of the red circle was brilliant. I think the text works really well here and the positioning is great. Just a really good entry I'd say runner up for botw! Workoutf very nice clean entry. I think everything here works well and the colors are very fitting. 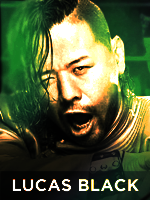 My only complaints is the Shinsuke render is taking up too much space and I'm not a fan of the positioning of the Royal Rumble winners/shinsuke/auska text. Other than that super solid entry. Great match! Norbi: Oggy - Oggy won with a main event quality piece. Havoc's entry looks a bit empty, I think he can do better. Kohop Kapah: Havoc - Another close match up, I really like the simple layout by Havoc, and the blue colours are simple yet effective. Oggy's is a great piece don't get me wrong, good layout, interesting too, I just personally prefers Havoc's. Andrea: Oggy - This piece is awesome. I love the depth of it. I think the colors work perfectly and the skulls and the viper are just sick. Very good piece, hard to find something wrong with it. Well done! Havoc: Not a bad piece. 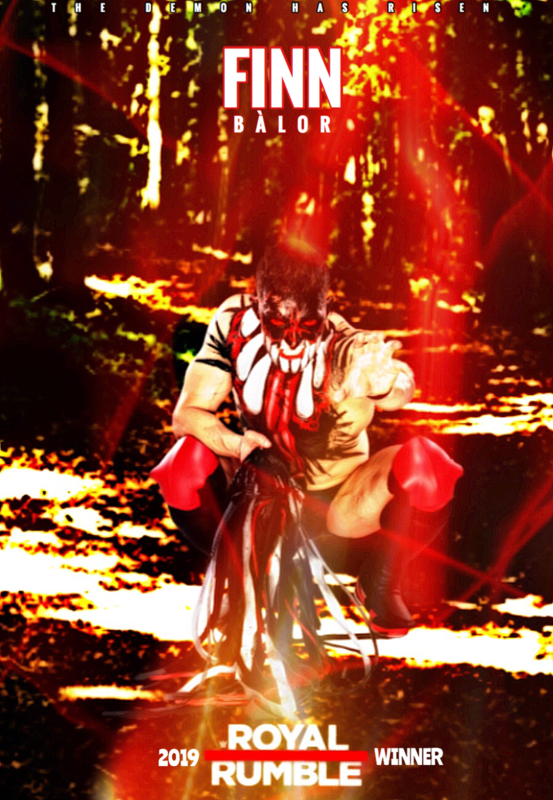 I see what you were going for but I think the bobby roode render takes way too much space. I think the glow effect looks good. Not too much to say. Not bad but I know you can do better. Norbi: Grenwood - Grenwood had a good composition, overall good work he won this. Derp Rollins's work has potential. 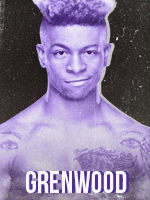 Kohop Kapah: Grenwood - Good match up between you two. I think Grenwood clinches it, the stip did say to include memorable moments, and Derp didn't. Also Derp needs to work on your fonts. Andrea: Grenwood - Good piece by Grenwood sticks to the stipulation and just overall better piece. Derp: Not a fan of the font but I like that the render blends well with the piece. Not bad but could be better. Kohop Kapah: Andrea - Andrea amazing work. The light effects are great, font is solid, size choice is unusual but works well. GP - You're Alexa Bliss piece in your showroom was better than this one, this is a strange size, strange background and strange layout. Credit, for trying something new, but I don't think it worked. Andrea: Golden Phoenix: There is a lot of room for improvement in this piece. I see what you were going for though and its an interesting concept. I think the melting effect is way too strong though and changing the size messed up the quality. I think you can do better. Andrea: Kohop Kapah - I really like this piece i think its very clean and and the colors blend really well. My only problems are I think the ‘raw tag teams champions’ text looks unfitting and the belt takes up too much room. 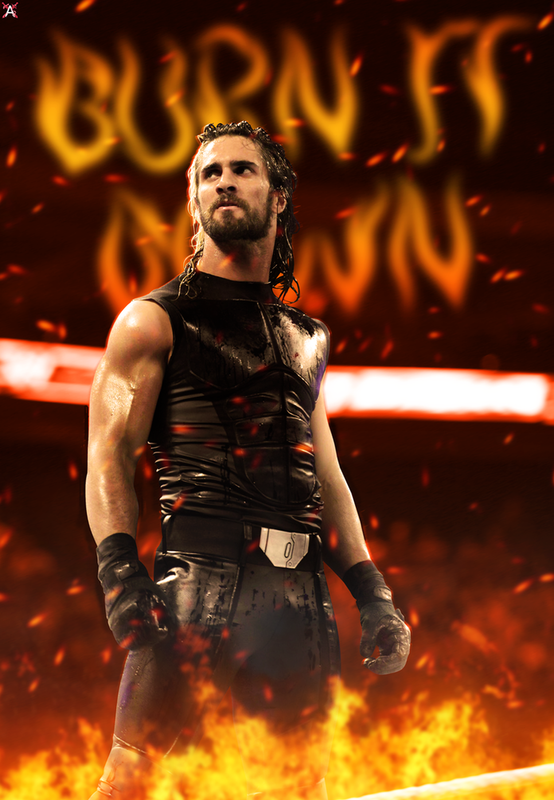 Other than that I love the Seth Rollins / Jason Jordan font it looks great. Overall awesome piece. Ara: This is a decent piece. I love the renders and effects in the triangles it looks really good. But other than that I think the background is a little unfitting and I’m not a fan of the text effects. Not bad by any means but I think it could be better. Norbi: Rhyse - In order: I think Rhyse's entry won that match. HLR's entry has a lot of potential(second place for sure). I think WorkoutF's one is a bit overfilled with textures and other stuff and Punk looks like a little piece of the work when he has to be the main thing of it. Kohop Kapah: Rhyse - Great piece here, I said on twitter that it would make a great phone wallpaper, the colours are great, layout is solid and fonts are nice and crisp. HLR - I really like your layout here, however your font work really let you down unfortunately, the text on the angle seems unnecessary. Workout - I like your piece, the section in the middle is good, however it felt like two images stuck together. Andrea: Rhyse - I love this piece. Really good colors and it all just fits perfectly. 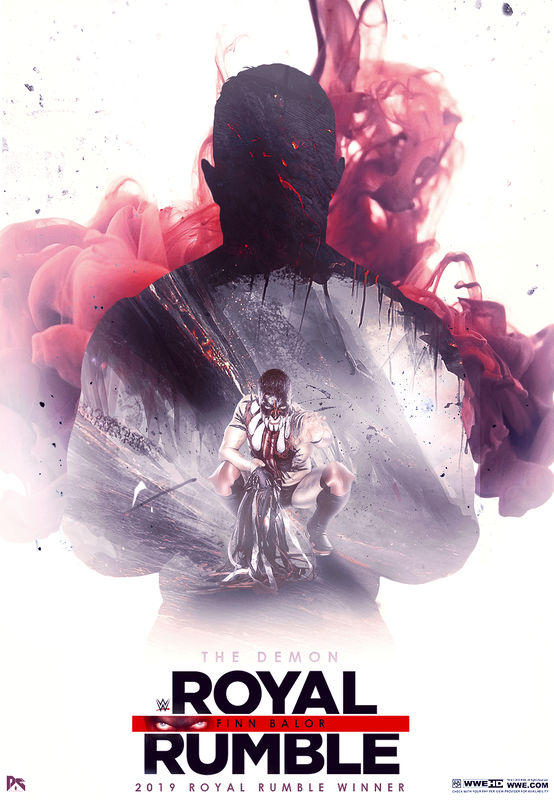 I like the text change to the Royal Rumble logo. Nothing to complain about on this piece. Really well done. WORKOUT: I really like this piece. I think everything blends well together and it looks pretty legit. I love all the numbers and the tron on top. But I have to agree with Norbi, I think the CM Punk render is a bit too small for it being a piece being about Punk. Also the Royal Rumble logo being red on red is not ideal but it works here. Other than that I think it might be a little busy looking but overall awesome piece i really like it. HLR: I really like the layout of this piece. I think the background colors are spot on. I think the main CM Punk render could have been kept normal color the red looks like a little too much. The ‘Voice of the voiceless’ text is hard to read red on red. 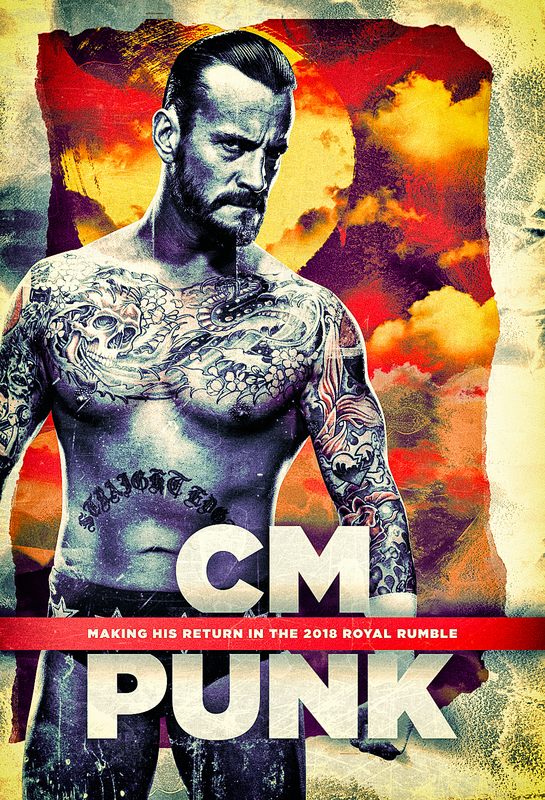 My only other complaint is the ‘no more rumors and Cm Punk returns’ font looks unfitting. Other than that I really like this piece. Glinja, good use of the purple and green colours, interesting that you both had the same idea with your composition, it was a good choice. Good match between you two as per. Andrea: Glinja I think Glinjas had better colors and more pop and overall better piece. Skyhighs was also great I love the arena at the bottom i think it added a lot. The slight 3d effect is nice aswell. Good match.